Paramotor Speed: how fast can a paramotor fly, and what limits speed? If you're looking for a paramotor towbar mounted carry rack then this is a great solid and easy to fit option. The Thule easybase is the rack I've been using after recommendations from a bunch of other pilots. In this article I'm going to show you why this is a great option, and what to do to make it the perfect paramotor carry rack. Before we get to it, this is the link to the rack on Amazon where you can check the current price - Thule EasyBase 949. The Thule EasyBase is made from thick steel tubing with a smart coupling that fits most towbars. An important feature for carrying your paramotor is the upright that will be used for strapping it on safely. This will also prevent your paramotor from sliding back and forth when accelerating. I've seen pictures of paramotors that have fallen off tow bar mounted carry racks because it lacked an upright support. The rack is more than strong enough to hold any paramotor, it's quoted as being able to handle 45 kg. But I know it will handle much more as I can easily stand on the rack at 70 kg and it doesn't budge. It also comes with a set of lights, full electrics with the standard plug, and a number plate board. After un-boxing, it will all go together in about 15 minutes using the supplied tools and fittings. Fitting the rack onto your vehicle will take about 2 minutes. You simply drop the coupling over your vehicles towball, and use a spanner to tighten a single bolt. This locks the rack to the towbar and keeps it level and super sturdy. 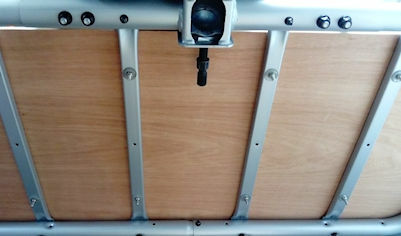 To turn this into a true paramotor towbar mounted carry rack the Thule EasyBase will need slight modification. But don't worry this is very simple and can be done by anybody in a single afternoon. You'll need a drill, a 6 mm drill bit, some nuts and bolts, a piece of plywood, a saw, some G clamps, and some tie down rings. Some other things you may need are all listed at the bottom of the page. You'll see these rings bolted in place later in the article. So the first thing you'll need to do is cut the plywood to the correct shape. Simply lie the rack on the plywood and draw around it with a marker pen. You can now cut the wood, I used a powered jigsaw to cut mine which took about 2 minutes. Once the wood is cut, use some G clamps to clamp the wood to the rack in the correct place. The cross bars on the rack already have holes in them that you can use. So simply put the drill bit through the holes and drill through the wood. Drill as many holes as you feel necessary. I recommend at least 10 bolts to keep the wood fixed solid and to prevent splitting on rough ground. You can now use your nuts and bolts to bolt the wood onto the rack. I used roofing bolts so that the bolt heads don't protrude too far above the surface. This will prevent them snagging on anything or catching on your paramotors frame as you load it onto the rack. I also used big washers and locking nuts to keep the bolts secure. You now have a nice surface to sit your paramotor on, but you'll need a way of strapping it down. This is where you will need the tie down rings. Every paramotor will be different, so place your paramotor on the rack and decide on the best place to bolt on the tie down rings. Take your tie down rings and place them exactly where you'd like to bolt them on. If you're bolting to the wood, be careful to place them in a place that will not cause you to drill through into the rack. Use your marker pen to mark where you will need to drill the holes. When you have all of your holes marked out, drill each hole. You can now bolt them onto the wood. I found that these specific tie down rings line up perfectly with the bolts next to the uprights. This is a great place to bolt them on, and it works perfectly to prevent your paramotor from sliding backwards. See picture below. 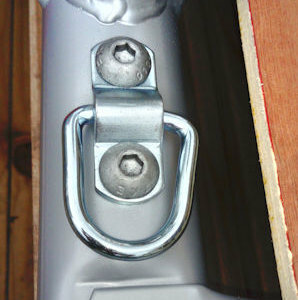 But if you would like to bolt them here, you will notice that the bolts are bigger than the holes in tie down rings. 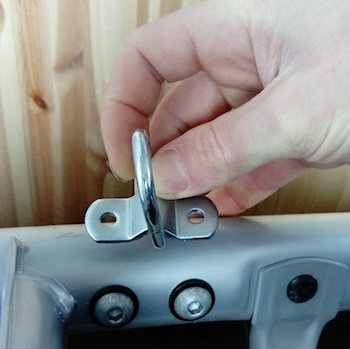 Not to worry though, you can easily open them up to 10mm so that they'll fit perfectly as shown below. 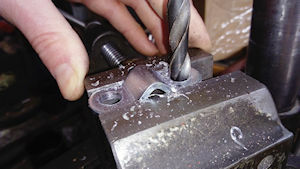 Drill straight through and use long bolts with a nut. Drill into the rack with a 5 mm tapping drill, and use an M6 tap to cut a thread. This will let you to bolt the tie down rings straight on, as I did. See below. You don't have to put the rings exactly where I did, put them wherever suits your particular paramotor best. Hooray! Job well done and your paramotor towbar mounted carry rack is now ready to be used! 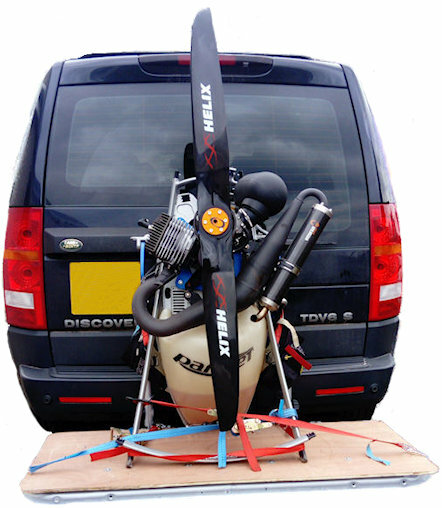 Fitting your paramotor towbar mounted carry rack and strapping your paramotor on. 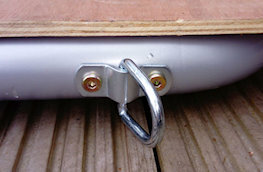 As mentioned earlier the rack is easily mounted to the towbar using a single bolt. Make sure this is tightened before placing your paramotor on the rack to keep it level. 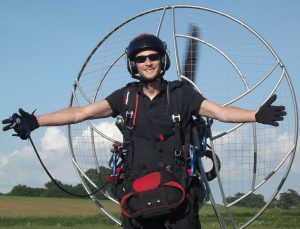 Once the paramotor is safely standing on the rack, work out the best way to strap it down. You should have a strap around the upright, half way up, to prevent the paramotor tilting back as you accelerate. Make sure the strap isn't able to slide up and over the top of the upright releasing the paramotor. There should also be a strap pulling the bottom of the frame towards the upright. This is what I use the tie down rings that we had to drill for. 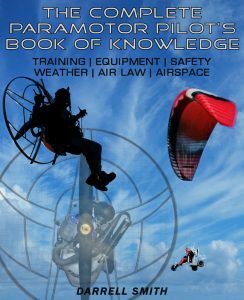 Lastly you will need to prevent the paramotor sliding side to side. I use a ratchet strap pulling left, and a separate one pulling right, these are hooked through the second set of tie down rings. Try not to tighten the straps up too much, just enough tension to keep them in place, and to keep the paramotor secure. If you over tighten the straps you will risk bending the frame of your paramotor. See all of this on the picture below. When the paramotor is secured this way it will not budge, and it will never fall off whilst driving. But remember you don't have to replicate my tie down points exactly, add more if your paramotor still feels insecure. It's always better to be safe than sorry! As you can see this paramotor towbar mounted carry rack is a great solution for anybody needing an easy way to transport their paramotor. There's actually quite a bit of extra space on the rack too, so you could carry extra boxes, petrol, etc. You could easily leave the cage on for a quicker setup at the field too! As you drill through into the tube be careful as the drill may break through fast and hit the other side. If this happens the small pilot drill can easily snap. Thanks for checking out my towbar mounted carry rack. I hope you manage to complete all of these tasks, as you'll have a brilliant rack that will last you many years. Find out a few more ways to transport your paramotoring equipment > HERE. Find out how much it costs to enter the sport of paramotoring and discover my yearly paramotoring expenses > HERE. Is a wing collapse going to happen to you? Find out your chances and how to prevent them > HERE. 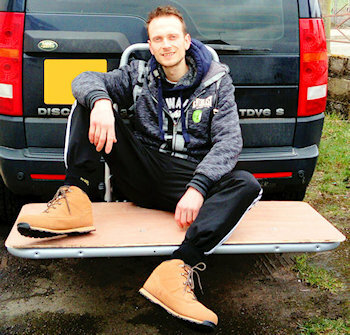 Pingback: How to transport a paramotor - Get to the field in style!